Burglar Alarms / Intruder Alarms installation in London and surroundings. By installing a burglar alarm system in your home, you can be sure of peace of mind 24 hours a day. At ALX Security we can offer a wide range of burglar and intruder alarms to suit your individual requirements, so give us a call on 0800 61 29 29 6 for a free on-site survey. Recently introduced to product portfolio are the Pyronix Enforcer and Texecom Ricochet wireless alarm systems. 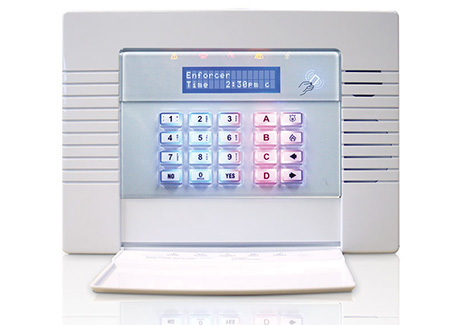 The Enforcer is your totally complete two way wireless alarm control panel solution, offering protection of up to 32 wireless circuits. Two-way wireless technology is a vital part of the system that keeps it reliable and fully supervise all devices, so you know the status and battery levels of each device at any time. Texecom Ricochet introduces interesting and advanced technology. Ricochet enabled wireless devices receive and repeat wireless transmissions from other devices. The size, scalability and range of the entire system are extended as wireless signalling is no longer limited by point-to-point communications. Give us a call to learn more. We are happy to help.